Best Food Festivals in Amsterdam, the Full 2018 Guide! Amsterdam is full of festivals and for the foodies out there, there are some great festivals for you guys! To navigate through the many festivals in town we’ve decided to compile a list with the best food festivals in Amsterdam in 2018. From wine festivals to sushi and from farmers market to the street food festivals, there is something to do and eat for whatever you are craving. Rolling Kitchens is back in town! This May all the foodies will unite on the Westergasfabriek premises wo eat at one of the many food trucks and food stalls. During the (long) holiday weekend around Ascension Day each spring, dozens of mobile kitchens and food trucks descend upon this culinary festival at the Westergasfabriek in the west of Amsterdam, to create an enormous open air restaurant! At Rolling Kitchens there is food to suit every craving, with everything from fresh Italian pizza to sophisticated seafood and Dutch delicacies. In June the culinary wonderland Taste of Amsterdam will visit the city once again. During this event Amsterdam’s best chefs and restaurants serve some signature dishes for all the food-loving people that are gathered there to enjoy some tasty dishes. From cooking theaters to cooking schools, from cocktail shakers to baristas and from live entertainment it is happiness all around. A summer party for culinary connoisseurs. June is the best month for food and wine festivals. Next to the amazing Taste of Amsterdam it is also the month in which we celebrate our love for wine during the Baccus Wine Festival. 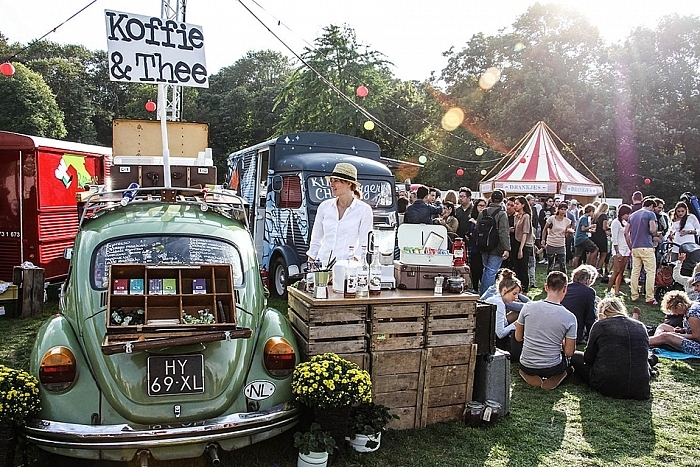 This festival is held with the Amsterdamse Bos as a beautiful green backdrop! It is a true festival with live music, DJ’s, food trucks and sommeliers helping you with the right wine decisions with your meal. This year the festival is for two weekends held from June 8 until June 10 and June 15 until June 17. Buy your tickets to the festival now and don’t miss the Wine heaven that is Bacchus Wine Festival. This May the Gin Festival will have its third edition in the beautiful undercurrent. This location has a spectacular view of ‘t IJ. During this festival you can enjoy various masterclasses, seminars and tastings that you can participate in for free! Well, ok you will have to buy a ticket for the festival but that is well worth it. During the festival the free “GIN Boat” will take you from and too Amsterdam Noord to take you to this gin-goodness. Besides various types of gin, the festival will also be full of tasty food trucks. The Beef Chief and Man I love fish where last year’s public favorites and they have confirmed their stand on this year’s festival as well! Op Tafel in de Hortus, or in English “On the Table at the Hortus” is a series of food-nights at the Hortus Botanicus in Amsterdam. Next to an exhibition that they have on the edible garden, they host various nights focused on different types of food and the parts of the edible garden that intertwine with these topics. On the 17th of May it is all about coffee, on the 24th of May they discuss the various herbs. Try an organic coffee infused with various flavors and discover the wide variety of herbs that you can grow yourself and that give your food just that little bit extra. 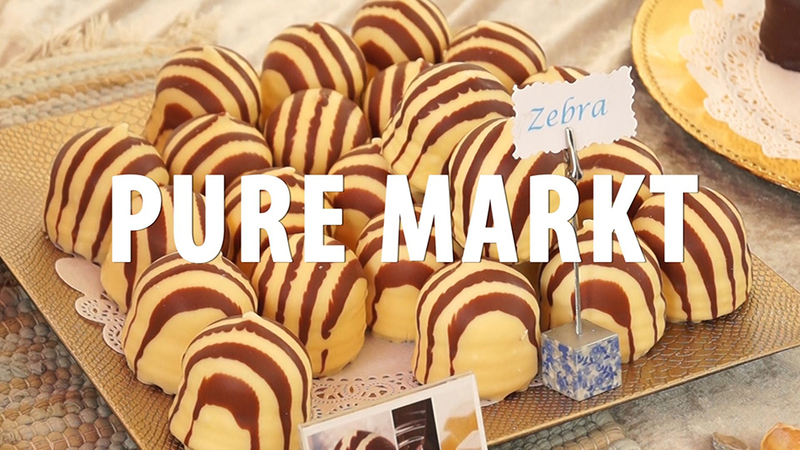 The weekly Pure Markt is one of Amsterdam’s best markets for foodies looking for a bite; a source of exceptional, artisanal, Dutch and international produce, food and creativity. Approximately 70% of the stalls are food related and the rest are a mix of designer, vintage and gift items. Many of the participants are themselves the producers, who grow, harvest, bake and cook the food they offer. Experience how real sushi is supposed to taste. During the Sushi Festival in Amsterdam this spring, you will get the chance to taste the freshest sushi. Besides that you have a chance to participate in a sushi workshop where you will learn exactly how to prepare the tasty treat yourself! 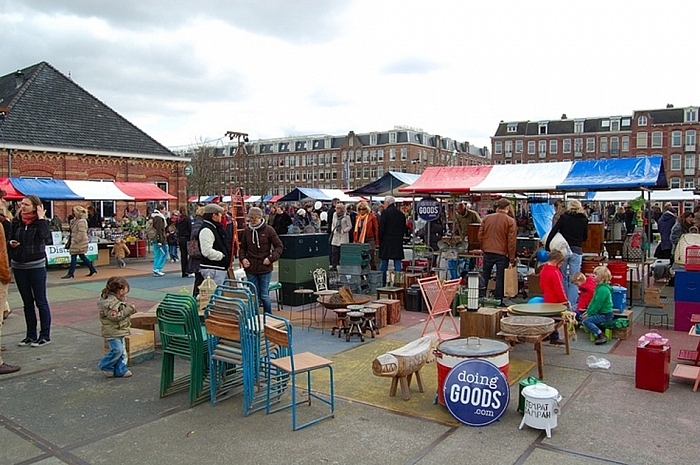 The New Market is a special edition of the weekly Nieuwmarkt held in the Jordaan. In spring and summer every last Friday of the month the market turns into a deli and lifestyle market. During this market you can eat all kinds of delicatessens from various parts of the world. From sweet and savory pies to specialty dried-meat. Besides food there are also other merchants at this market with jewelry, art, fashion and interior design products. The Sunday Market, held every first Sunday of the month, is Amsterdam’s trendy market that features fashion, design and art. But Besides all of that they also serve tasty food – duh, otherwise they wouldn’t be on this list. Here you can buy food to eat right away or buy home-made and organic products that you can use at home. It is held in the lovely Cultuurpark Westergasfabriek. If you are into hip, trendy, funky or even quirky stuff, the Sunday Market is the place for you. Get ready for the biggest open-air restaurant of the city during Trek Amsterdam. Every summer this festival is held in the charming Amstelpark. Trek food truck festival brings together all kinds of food trucks, creating a large food festival. Be sure to check it out, with that many trucks there is food for everyone! The Amsterdam Tapas Food Festival is the first tapas food festival in the city! In the middle of this city beach you can enjoy small bites from various kitchens to fill your stomach. Have a bit in one hand and a glass of sangria in the other. Saturday the 26th of May beer lovers can enjoy themselves during this beer festival at the Jaap Edenbaan. Here you will find many national and international beers, great food that pairs with those beers and live music. This is the first veggie centered food festival in Amsterdam! Expect a fun event with an educational twist where vegetarians, flexitarians, vegans and the Veggie-curious ones come together for a fun day out. 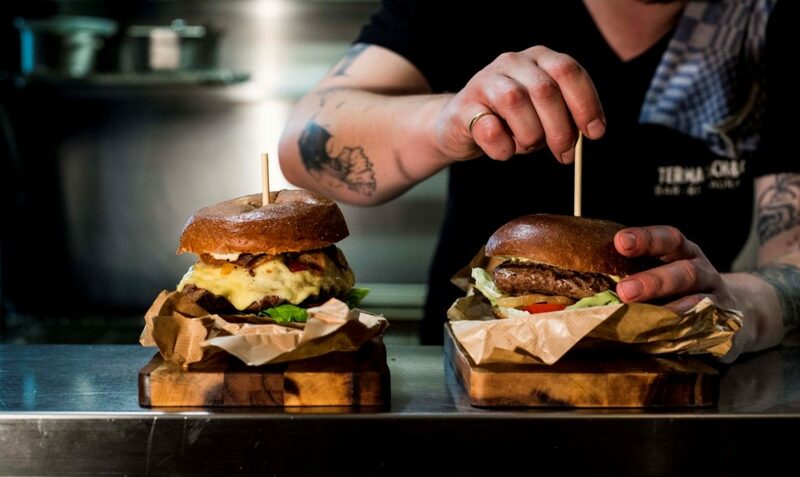 What’s in a name… in July lovers of juicy burgers can come together to celebrate this tasty food! Amsterdam Burger Festival is a daylong celebration of hamburgers, cheeseburgers, chicken burgers, vegi burgers, sushi burgers & much much more! A real open-air Burger Paradise for all of you…also for veggies and health freaks. For vegans and those curious about vegan food this is the place to be. During the Funky Vegan Festival in July the city beach is turned into a vegan-food-heaven. All food and drinks are vegan and super tasty, even for those of you who still love meat and/or other animal products. See what kind of tasty treats vegan food has to offer during this festival. De Parade Amsterdam returns in 2018 once again. This year the theater festival is held from the 17th of August until the 2nd of September. The Festival grounds open every day at 14:00 (this is excluding the opening day, then the grounds open at 18:00) and they close at midnight or 02:00 on the weekends. Besides theater this festival is also full of culinary surprises and food trucks for those who love to enjoy theater with a full belly. Asian street food is some of the best street food in the world. If you don’t know that yet you should come and visit the Asian Street Food Festival, and if you already know this fact you should visit too! This festival is full of various Asian street food goodies. Try food from Korea, Vietnam, Thailand, Japan, India, China and fusion kitchens. Who doesn’t love a good pasta or pizza? Italian food is the best comfort food in the world, that is why this August an entire festival will be dedicated to one of the best cuisines in the world. Try some great authentic pasta and pizza with delicious wines during the Italian Food Festival.